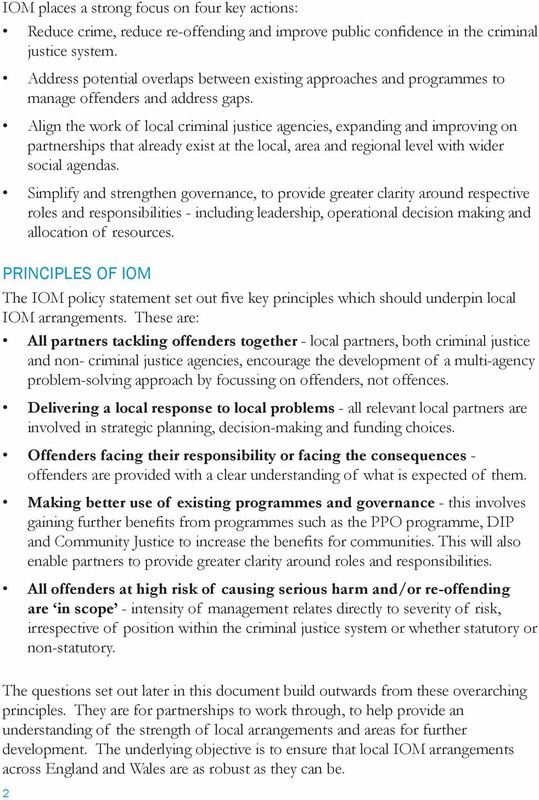 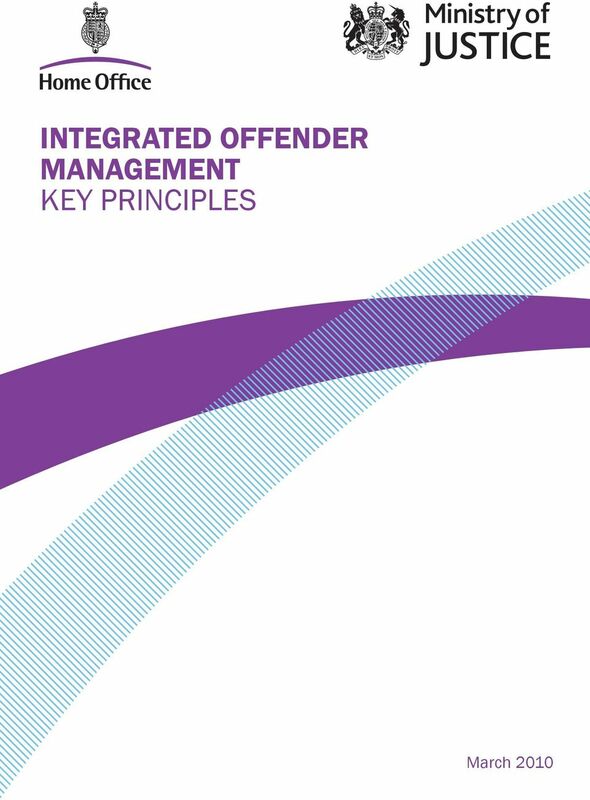 Download "INTEGRATED OFFENDER MANAGEMENT KEY PRINCIPLES"
DRUG STRATEGY 2010-2015. 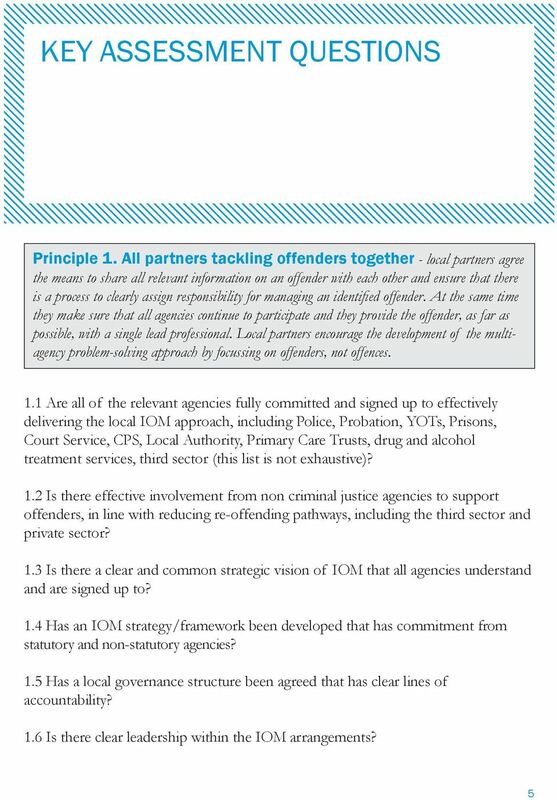 On 8 December the government launched its new drug strategy. 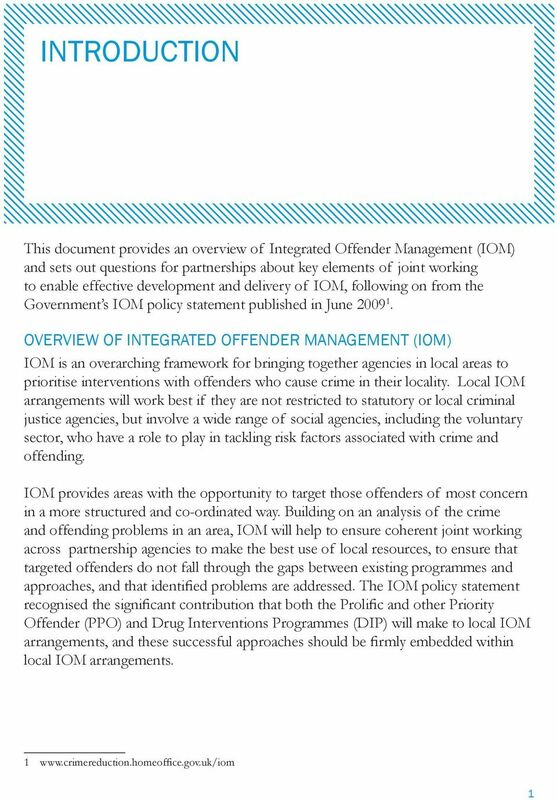 Reducing Drug Use, Reducing Reoffending Are programmes for problem drug-using offenders in the UK supported by the evidence? 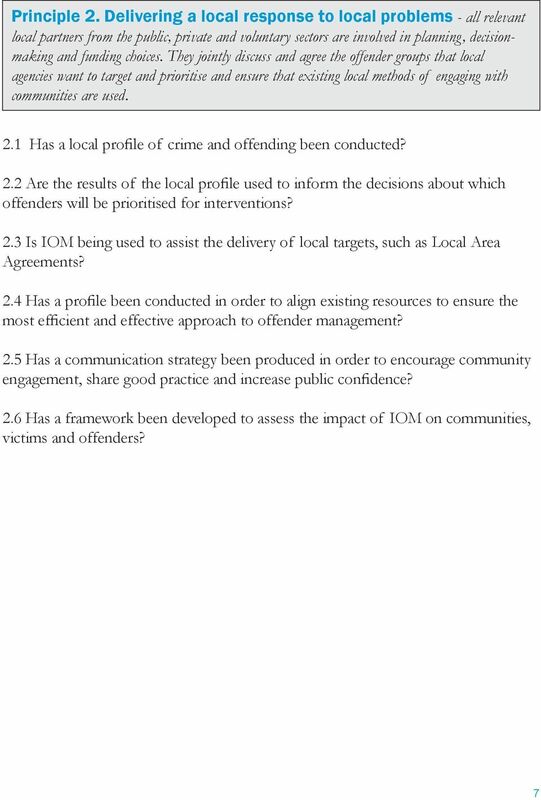 Assess the purpose of the Criminal Justice System and the role of the Ministry of Justice. 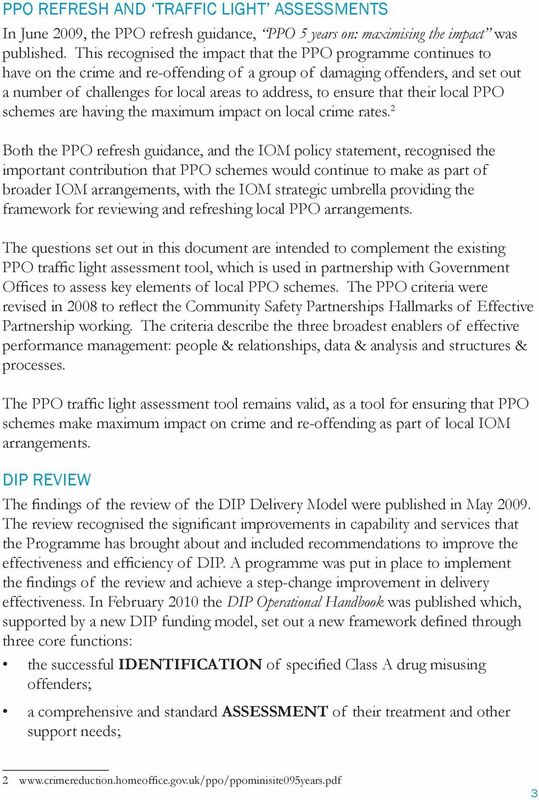 Report of the Director of Public Health to the meeting of Corporate Overview and Scrutiny Committee to be held on Wednesday 16th June 2015. 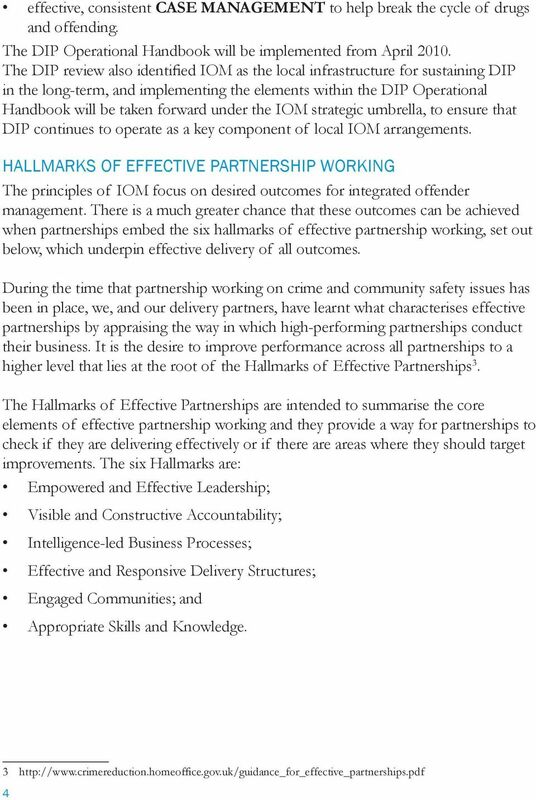 JOB PROFILE. 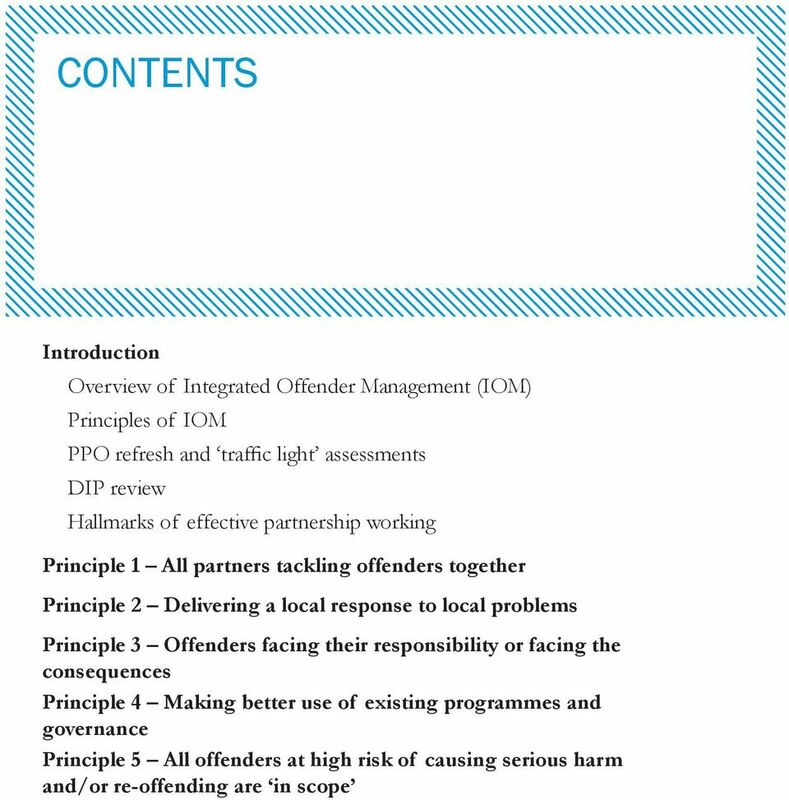 To lead and deliver an efficient and effective, custody and criminal justice function across Warwickshire and West Mercia policing areas.